The United Nations (UN) system offers civil society quite a few opportunities to push governments to prioritize justice and accountability. 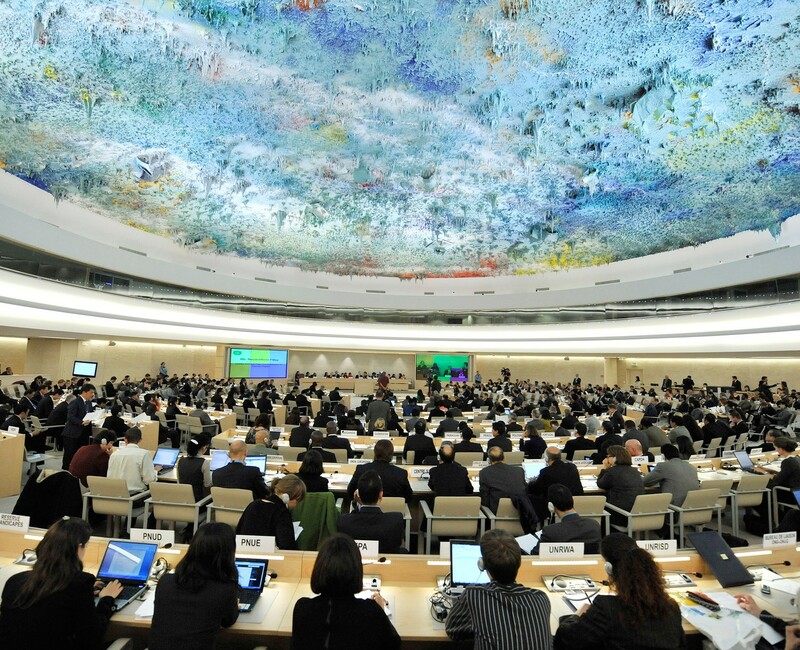 One Such opportunity is theUniversal Period Review (UPR) at the UN Human Rights Council, by which each of the UN’s 193 member states has its human rights record assessed every four years. The UPR provides the Coalition with a chance to call on states to more actively support the fight against impunity by ratifying the Rome Statute of the ICC if they haven’t done so already, or by passing legislation allowing for national investigations and better cooperation with the Court. The Coalition also calls on states to ratify the Agreement on Privileges and Immunities of the Court, which facilitates the work of ICC personnel. During the first cycle of the UPR, all UN member states were reviewed and more than 100 recommendations related to the ICC were issued to about 60 states—the majority on ratification of the Rome Statute. The UPR is currently in its second cycle, which started in May 2012. The UPR Working Group holds three sessions each year, with 14 states coming under review at each. Prior each session, the Coalition sends letters to all ICC states parties, asking them to make specific recommendations regarding the Rome Statute to each of the states under review. For example, before the 19th session of the UPR, which concluded this month, the Coalition asked states to recommend North Korea to join the ICC. For Albania, which has already joined the Court, the Coalition asked states to recommend it align its national legislation with the Rome Statute to better enable authorities to cooperate with the ICC. In all, 95 ICC-related recommendations were made by 36 states during the 19th session. Part of the value of the UPR is that states must publicly respond to the recommendations given to them. And when a state accepts a recommendation to join the ICC or pass related legislation, it commits to do so by the time it next comes under review. The Coalition and its members use these commitments to engage with states and monitor their implementation. While most of the states under review during the 19th session have yet to respond to the recommendations made (they must do so by the 27th session of the Human Rights Council in September), Albania—as well as Côte d’Ivoire and the Democratic Republic of Congo—accepted the recommendation to align its legislation with the Rome Statute. Prior to each UPR session, the Coalition is regularly invited to attend and speak at meetings of the Geneva-based Friends of the ICC group. These meetings are a unique forum for state representatives working at the forefront of human rights policy to discuss the relevance of the Rome Statute system to the agenda of the Human Rights Council, and provide the Coalition with the opportunity to directly discuss possible ICC-related recommendations with states representatives. At the 2013 meeting of the Assembly of States Parties to the Rome Statute, ICC member states welcomed civil society efforts to promote universality of the Rome Statute through the UPR. As a platform for the international community to take stock of the state of human rights on a state-by-state basis, the UPR is a useful tool for the promotion of the ICC by civil society and members of the Court.